OUR CURRENT ADOPTION FEE IS $10 when you are approved to adopt a dog through our online adoption counseling process. See below for complete instructions. We offer adoption counseling via email at sacramentocountydogs@gmail.com. Complete the application and send it in today to get started! Please note meet and greets are done by appointment only for approved applications. “I need my dog to get along with resident cats.” We absolutely want to make safe and happy matches for all pets in the home. We have found time and again that a key ingredient in the recipe for harmonious pets is very slow introductions. It’s very difficult for us to know which of our dogs will be best suited for a home with cats. In-shelter cat tests are highly unreliable at best. We do not try to test cats and the dogs at the shelter because we don’t trust them. We ask all adopters with cats to read this article on introducing a new dog to a resident cat and agree to follow the procedure described. If you are willing to follow these guidelines, then we are happy to help you choose a dog, keeping in mind that we can make no guarantees about how easy or difficult the process of introducing your new dog to your cat will be. It can sometimes require a significant amount of patience and commitment to ensure the safety and happiness of all animals involved. “I want a mellow/couch potato dog.” All dogs, even the mellowest, have daily exercise needs to consider, as well as needs for engagement with their people and mental stimulation. Please read this article about dog exercise needs and energy level to decide which energy level is right for your family. Also consider that we have very few dogs who truly fall into the low energy category. Most of our dogs are medium energy and would love a family to take them on walks or jogs of a few miles per day, play with them using toys daily, and take them on fun outings frequently. “I need my dog to get along with children.” Absolutely! Most of our dogs will be great with children, given proper supervision of the kids and dog involved. With all dogs, proper training and management of both the kids and the dog will be key for success. Please read this article, as well as this one regarding babies, for more information on making sure you children interact safely with your dog. We also recommend that you visit The Liam J. Perk Foundation website for terrific resources to help teach your children how to behave with dogs. “I want a dog I can take to dog parks.” While we love the idea of dogs playing happily together, we know from experience that dog parks set most dogs up for failure. Take a moment to imagine how it must feel to suddenly have a bunch of dogs you don’t know barreling toward you, their intentions unknown. Many dogs find this scenario very stressful. Factor in as well that the behavior of the other dogs in the park is often unsupervised, and you are putting your dog in a dangerous situation. We recommend supervised play dates with other known dogs for socialization time. “I work full time and need my dog to be ok alone during the day.” Please consider a dog who has shown no signs of separation anxiety and who is around 3 years old. Also plan if at all possible to exercise the dog well before leaving for work. Then give the dog some significant bonding time after work and at night so they have plenty of mental and physical stimulation during their time with you. Consider hiring a dog walker or coming home for lunch daily, as well. Also read the next paragraph for ideas on other options for dogs who need to be alone during the day. “I plan to crate/kennel my dog for more than 6 hours per day.” Please don’t. Crates can be wonderful training tools, but they were never meant to be a way of housing a dog long-term or for many hours per day. 4-6 hours per day is pretty much the maximum number of hours most dogs can handle being crated without becoming very frustrated or developing behavior problems. Many dogs, especially if exercised well, can tolerate being left alone for 8-9 hours max, either to roam free in the house and yard (with a doggy door), or given a similar comfortable setup ( a bedroom), depending on your living situation and the particular dog. If you are faced with the dilemma of having a dog who can’t hang out for that long and have to figure out how to have a dog not be destructive in your home while you are away for more than 6 hours per day, the humane options are: doggy daycare; hiring a dog sitter to come walk your dog during the day; dropping the dog off at someone’s house who is home and willing to watch them; or, where it is an option, bringing the dog to work. “I want a dog who is already housebroken and/or doesn’t have any behavioral issues.” We do too! However, dogs are imperfect beings, just like us. Whether you adopt your dog from a shelter, a foster home, or a breeder, there is no guarantee of how the dog will behave in your home. A dog who is perfectly housebroken in one home might struggle with potty accidents in another, at least for a while until a routine is established. A dog who behaves perfectly in one home could very well develop behavior problems in a new home where the rules and boundaries are different. Behavior is conditional and responds to the environment and relationships influencing it. So if you want a housebroken dog, commit yourself to a period of adjustment with your new dog, during which you set him up for success and are patient with his accidents. If you hope to live with a dog whose manners are impeccable, know that with most dogs, this will require a high level of commitment on your part to training and positive reinforcement. Luckily, positive training is fun and a great way to bond with your dog and keep him happy! Visit our resources page for more information on housebreaking and training issues. Email Counseling: After you send us your application via email (see below for instructions), we will read it over, ask questions to learn more, and make recommendations based on our knowledge of the dogs we feature. In order for us to approve your adoption, we will need to feel your family and the dog are a good match. We want happily ever afters for dogs that become true family members and indoor companions. A good match takes into consideration how your lifestyle fits the dog and how many hours each dog can handle being unattended by his or her people. And yes, we help out-of-town adopters, too! We can also provide resources and support for all stages of the adoption process. Whether you have questions about how to successfully transition a new dog into your home, introduce dogs to resident pets, or solve behavioral issues after adoption, we are here to help our adopters succeed. Email us your questions at sacramentocountydogs@gmail.com. 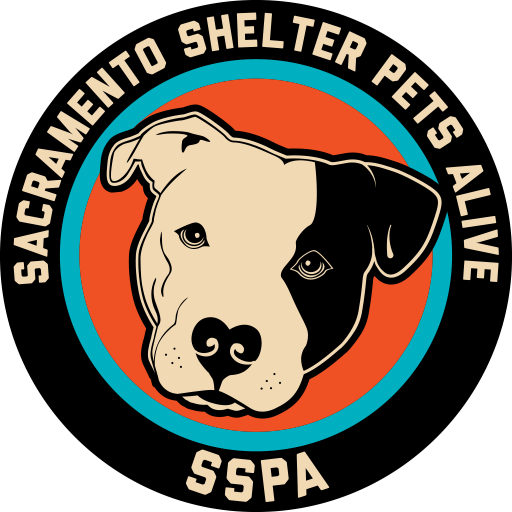 We’d love for you to take part in our adoption counseling process via email at sacramentocountydogs@gmail.com. Complete the application and send it in today to get started!